A lot of organizations involve regular reporting on day-to-day performance and progress towards larger goals. You can turn these rote memos into eye-catching infographic presentations, making both yourself and your work more visible. I’ve personally gotten two promotions thanks to this technique. (I know that sounds terribly gimmicky but it’s actually true.) I’ve also used it to successfully advocate for policy changes by showing how they would save company resources, and gotten raises for the people I managed by demonstrating how much they were doing. This is a great way to showcase your skills in a non-braggy way. 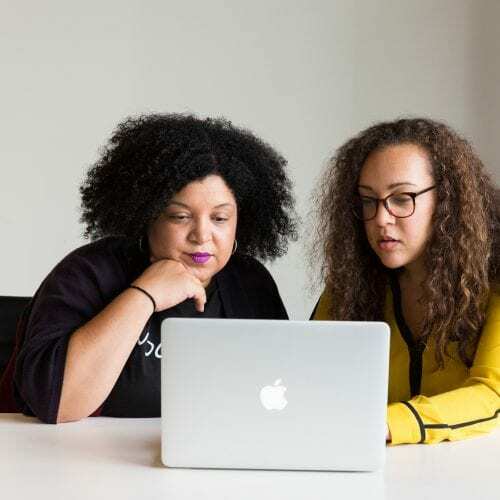 You’re not looking for attention — you want to let everyone know what great work your team’s been up to, or to make sure you’re all on the same page about that new thing you’re doing. We caught up with her to do a quick Q&A to learn more! 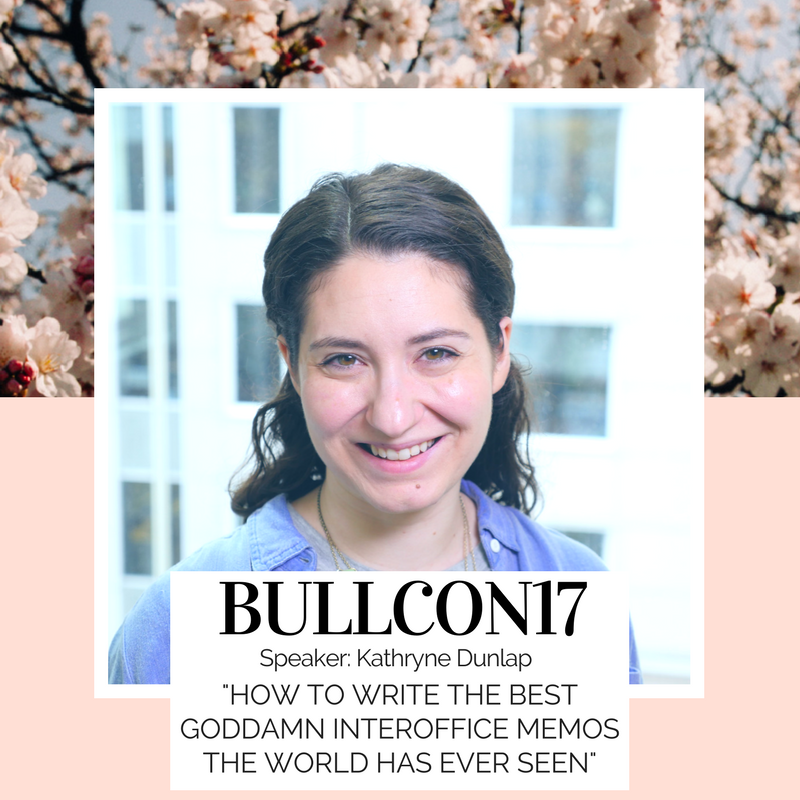 Hi Kathryne, We’re so excited to welcome you to BullCon! Can you give us a sneak peak on what you’ll be covering? 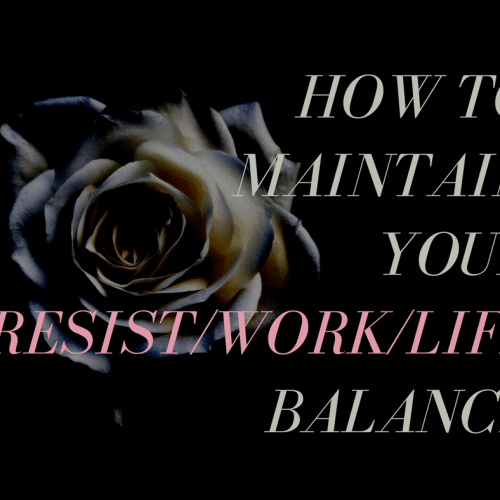 I’ll cover how to make eye-catching updates of your work, and strategies for how to promote yourself and your teammates in a non-gross way. This will be your first Bullish Conference – How did you find us? I first found Bullish while it was being posted to TheGloss. I don’t remember which article I first stumbled upon, but I immediately loved the no-BS attitude. 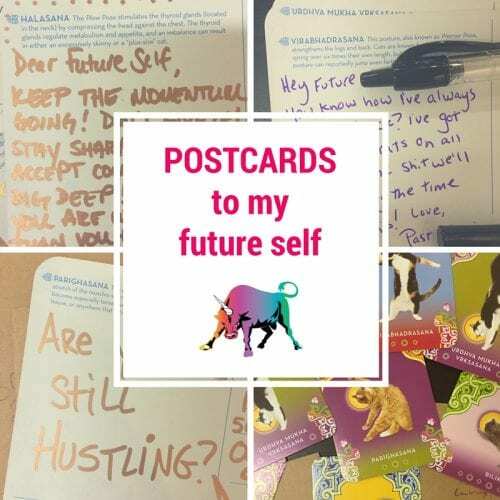 Having an awesome career can be a huge part – but not the only part – of having a great life. It’s great to be surrounded by likeminded people! Between now and November, what’s the best way to stay in touch? I’m most active on Twitter as @HerstoryChannel, and on Instagram as @kathy_forreal. To meet Kathryne and and the rest of our badass speakers, join us at The Bullish Conference this November 2-5.